Children are citizens of a global world, but they are also citizens of their local community. At our centres our children are involved in helping others the local community through fundraising efforts. 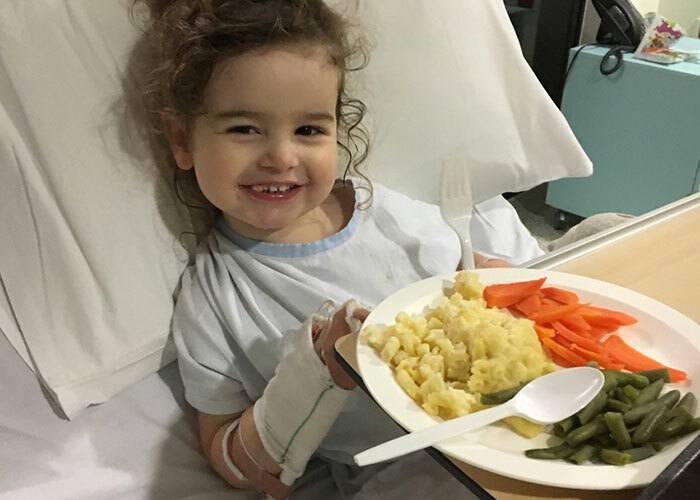 In recent months, Mickleham Road Early Learning Centre has undertaken a couple of fundraising campaigns that are close to the centre’s heart. The money was to help the family through this difficult time. The family was behind on their fees and this helped pay off their fees as well as put them in front for the next six months as they still had two other children in care. This was something that touched everyone in the centre and surrounding centres and it was wonderful to see the community band together and help a family in a time of need. Recently, the preschool children ran a cupcake stall which raised just over $400 for the rescue Underdog. Held in the foyer of the centre, children’s families and educators baked up a storm making delicious cupcakes, slices and cakes which were available for sale. 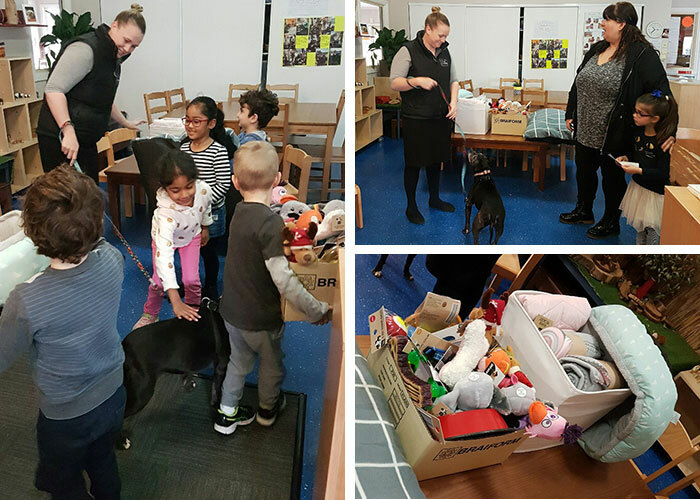 The children also started collecting blankets and toys for the dog home and were able to make a few hampers as well as raising money for Underdog. The day came for the children to hand over the cheque and goods and they were lucky enough to have one of the rescue dogs come in to collect the donations. Winnie the dog caused quite a lot of excitement at the centre and the educators used this opportunity to talk about the dogs, where they live and how important it is to rescue animals. The children had a lot of questions about rescuing animals and who looks after them and took from this experience an understanding of the importance of taking responsibility for their own pets and that we need to look after all animals. It is this kind of philanthropic spirit we hope to instil in our children so that they may become community minded, charitable citizens as they move forward in life. Mickleham Road Early Learning Centre not only offers high quality early learning but helps children to become thoughtful citizens with a community spirit, and we look forward to hearing about their community initiatives in the future. To find out more about Mickleham Road Early Learning Centre and to book yourself in for a tour, head here.